Old Mutual briefed the agency to position the company as a compelling ‘investment’ destination for high net worth individuals. In addition, it was tasked to launch Old Mutual Wealth in a distinctive manner in a category that typically roots itself in internally-orientated investment philosophies. The agency responded with a creative idea that would translate into a through-the-line campaign showing how Old Mutual Wealth can – given its extensive and proven investment expertise – partner with the high income earner to resolve an important issue: How to maintain an affluent lifestyle while still planning and investing for their future. “Old Mutual has many years’ investment experience, and considerable goodwill thanks to its trusted life business. It was decided to leverage these and position Old Mutual Wealth as the destination for relevant investment advice for clients earning over R80 000 a month, or with investable assets of R5-million and over,” said Old Mutual General Manager: Marketing & Communications, Mokaedi Dilotsotlhe. According to FCB Joburg’s Strategic Director on the account, Ryan Parkhurst, the campaign proposed to and accepted by Old Mutual had its origins in FCB’s new approach to strategy, based on behavioural economics. Traditional economic theory is based on the premise that consumers make rational decisions after careful consideration. In this paradigm, the role of marketing is to persuade consumers by providing a compelling reason to believe based on a unique selling point. In contrast, behavioural economics and neuroscience thinking considers that people make decisions intuitively, based on what feels right at the time. The biggest influence on decision-making is therefore emotional triggers not rational messages. “To speak to wealthy clients about Old Mutual Wealth’s Integrated Wealth Planning we tapped into a new understanding about ‘the power of now’,” said Parkhurst. “Essentially this means that, when making decisions for the future, we tend to weight the immediate costs and benefits more heavily than our future needs. We focus on how we feel now, we often lack self-control and foresight, and we also lack empathy for our future self and needs. “One of the ways for marketers to overcome this is to create a present benefit for long-term planning, or to shift some of the future benefit into the present. Another way is to make the story or message about their future self, to show people that their future self is not so different from their present self, and help them understand who they will be (or want to be) in the future,” he said. FCB Joburg Executive Creative Director, Jonathan Deeb, added: “Communication in the investment category is often dominated by philosophical stories designed to allude to the brand’s investment approach. The Old Mutual brand has always been about understanding its clients and, in launching the Old Mutual wealth offering, our approach was no different. “How much is enough to ensure that the individual has enough to be able to achieve their goals and aspirations for the future without sacrificing the quality of their lifestyle today? Old Mutual Wealth recognises that the answer will differ from person to person. It can help people appreciate how much is enough, and then – utilising an Integrated Wealth Plan and years of investment expertise – help them ensure that they have enough,” said Old Mutual Wealth Marketing Executive, Nandi Solomon. The campaign was rolled out during August with a press launch mid-month; radio and outdoor launched a few days thereafter. The television ad – created by creative director Erin Brooks, copywriter Mohlalifi Lentsoane and art director Kyra Antrobus – flighted for the first time on September 14. 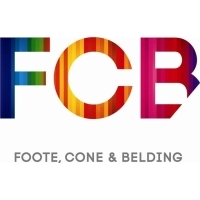 In choosing a partner with whom to bring this idea to life, FCB Joburg selected Slim from Egg Films. Slim’s incredibly sensitive handling of emotion and his innate ability to translate that onto screen has lent gravitas and honesty to the script, without ever coming across as heavy-handed. You can view the TVC here.